Gordonville bed and breakfast travel guide for romantic, historic and adventure b&b's. 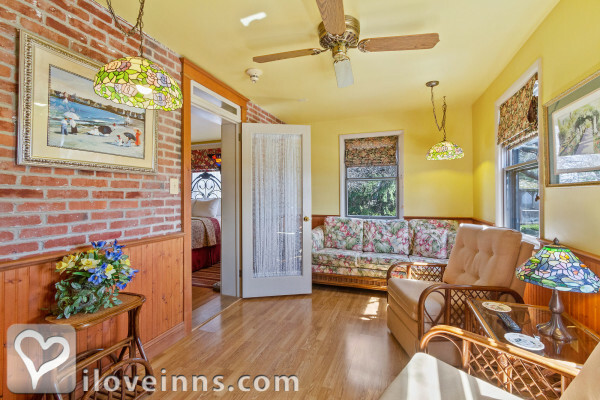 Browse through the iLoveInns.com database of Gordonville, Pennsylvania bed and breakfasts and country inns to find detailed listings that include room rates, special deals and area activities. You can click on the 'check rates and availability' button to contact the innkeeper. Gordonville is located in Leacock Township in Pennsylvania, nine miles east of Lancaster. Little is known about this quaint little village of Gordonville but it has been used and portrayed numerous times in magazines and books because its beauty and wonderful surroundings. A good portion of Gordonville is inhabited by Amish families giving Gordonville much of its inherent heritage and culture -- peaceful and quaint. In fact, all but seven of the 153 farms in Leacock Township are Amish-owned. To get a feel of the quiet serenity of this town, stay at any of the Gordinville bed and breakfast inns. Afterward, visit nearby Eagle Falls Thrills and Spills located in the heart of Amish Country. There are go-karts, miniature golf, and even waterslides for you to enjoy. You will also enjoy visiting Dutch Wonderland, another theme park just a few miles away. By After Eight Bed & Breakfast.